Telling a story with your data is key. 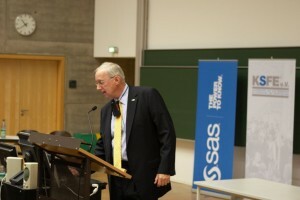 With high-speed computers, statistical discovery now happens faster than ever before, and John Sall showed what this can look like during his keynote speech at the 16th Conference of SAS Users in Research and Development (KSFE) this week in Dresden, Germany. Graphics and animation were at the heart of his speech, and he awed the audience with the amount of data that could be explored quickly and visually. Discovering patterns, following clues and coming to conclusions using examples such as flight delays or crime rate heat maps made an entertaining and informative opening to this two-day conference. Need an example of an outlier? How about a 9999 pound baby? Babies don't come that heavy, and a data error like this is instantly detected with Graph Builder in JMP. John pointed out the badge he was wearing that read "I love statistics." The audience certainly loved statistics this morning, too. 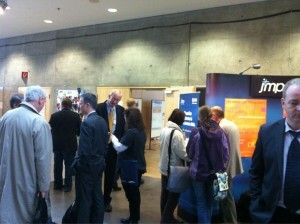 KSFE was hosted this year by the Technical University in Dresden and sponsored by SAS. The event's host Prof. Andreas Hilbert has established a Business Intelligence Competence Center at TU Dresden using SAS. The main themes of this year's KSFE were data mining, text mining and analytics. The agenda included sessions on topics such as social media analysis, risk management, high-performance analytics, SAS Text Miner, SAS Enterprise Miner and JMP. More than 400 SAS users attended the sessions. In the evening, the guests boarded a boat and enjoyed a nighttime river tour of the beautiful city of Dresden. 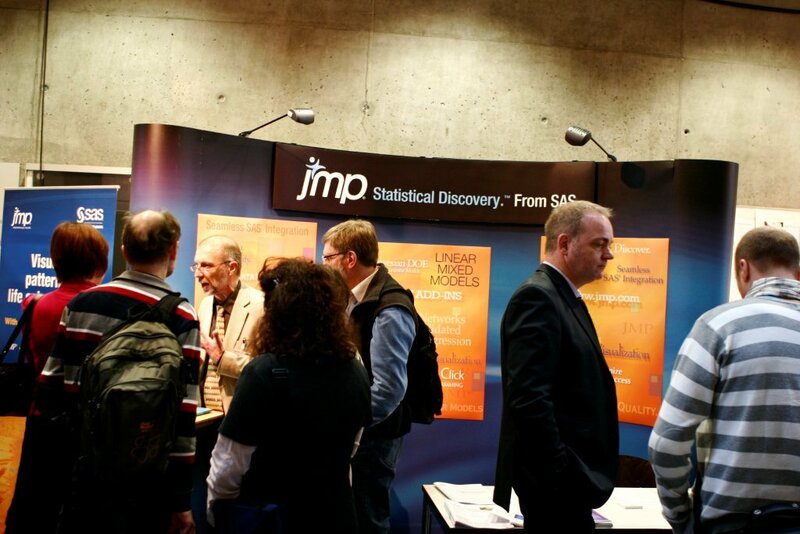 Bernd Heinen, Systems Engineer at JMP, gave a fascinating sneak preview on JMP 10, which will be launched on March 20 with a live webcast in four languages. Prof. David Meintrup from the University of Applied Science in Ingolstadt captured his audience with "Design of Experiments with JMP." Making experimental designs easy to understand and showing practical cases, he won the Best Paper Award at this SAS User Summit. Congratulations, Prof. Meintrup! 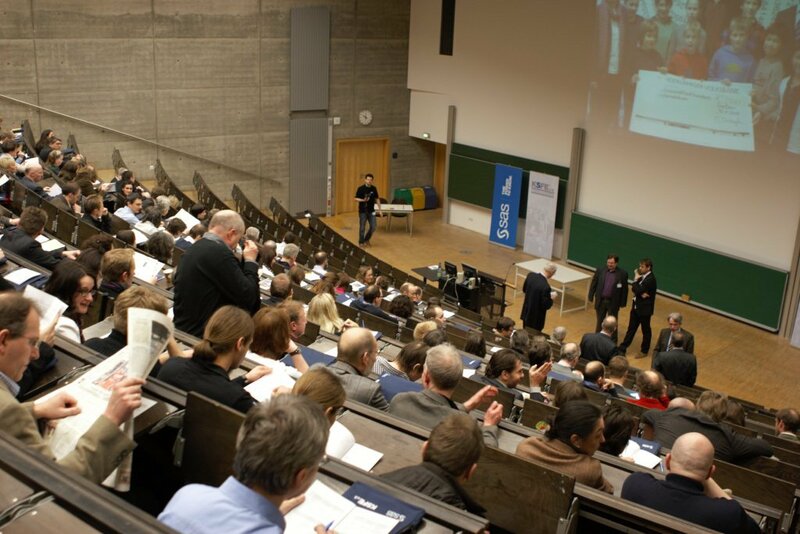 In 2013, the summit will take place in Ulm, Germany, and focus on data analysis in pharma.